I recently read an article proclaiming social media was changing publishing by putting power in the hands of individual authors for the marketing of their books. Is that true? I don’t feel powerful but increasingly I feel responsible. With the plethora of avenues open to writers to self-publish, what chance does a new author have to capture an audience while competing with the gazillion other books out there? The vague description fits what you find on blogs. They vary in length from a few sentences to lengths equal to multiple pages. Some are updated daily, weekly or even less often. Most ‘experts’ suggest a minimum of once per week. The content varies as much as the frequency and length. I know some writers who use their blog only to promote their own works. Others do lots of interviews or have guest appearances to assist other writers in their promotion. Most blogs I frequent do promote their own works, works of others but also write numerous posts I find education and instructive in ways to help my writing career. Still others offer interesting tidbits on a wide variety of things such as ranch living, certain TV shows, herbs and green living, and some just make me laugh. Professional blogs can offer lots of clues and advice to help writers in their careers. I love finding new blogs and picking up the occasional follower. Will it help sell my books? I’m not sure but links to other blogs, link to their readers also. 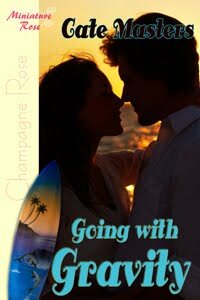 If someone like Cate Master’s books, might they not take a look at my romance novels when they see my link on her site? If a reader enjoys Jon Sprunk’s fantasy novel and see on his blog we did a book signing together, might they not click over to my blog and consider my novel? I have no doubts the world on the internet has already replaced a lot of traditional media and perhaps sometime in the future it will make all ‘dead-tree media’ obsolete. In the meantime, I’m going to keep doing what I know how to do and try to learn more. 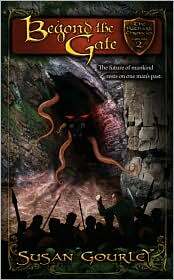 I’ll be doing my first blog tour ever in January to promote the release of my newest fantasy, Beyond the Gate. I’ll be searching for new ways to make my own blog work for me. How often do you blog? How many different blogs do you visit on a regular basis? What type of blogs do you visit? 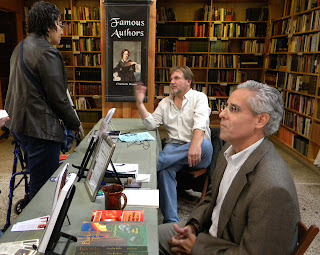 Mike Silvestri and honorary Susquehanna Writer Peter Durantine at their signing table on Oct. 16 in Harrisburg, at The Midtown Scholar. 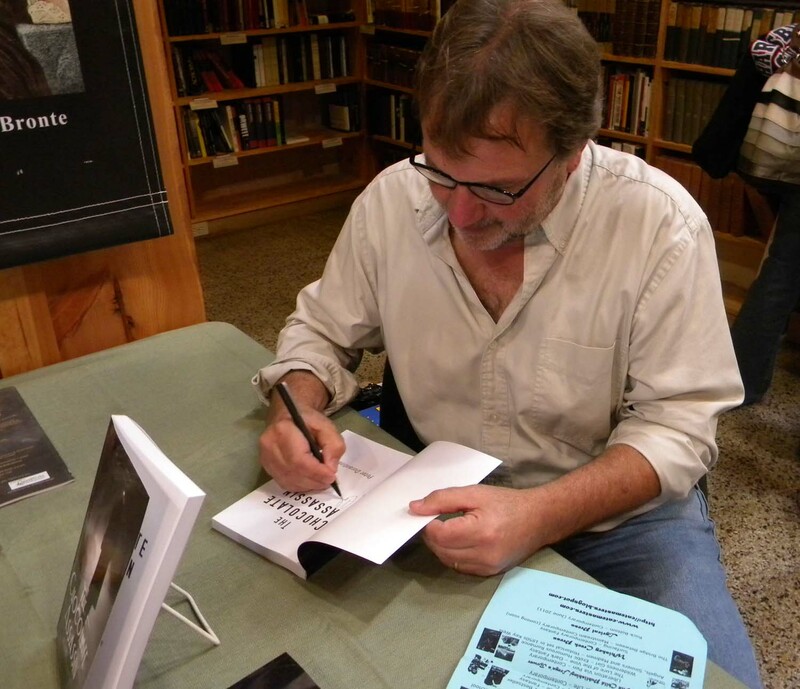 Pete signs a copy of his release, The Chocolate Assassin. 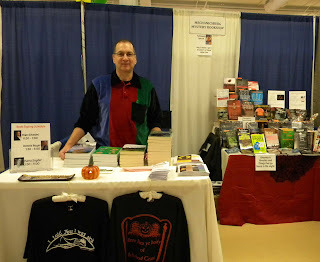 Dennis Royer manned the Mechanicsburg Mystery Book Shop's booth at Celebrate the Book on Oct. 23. 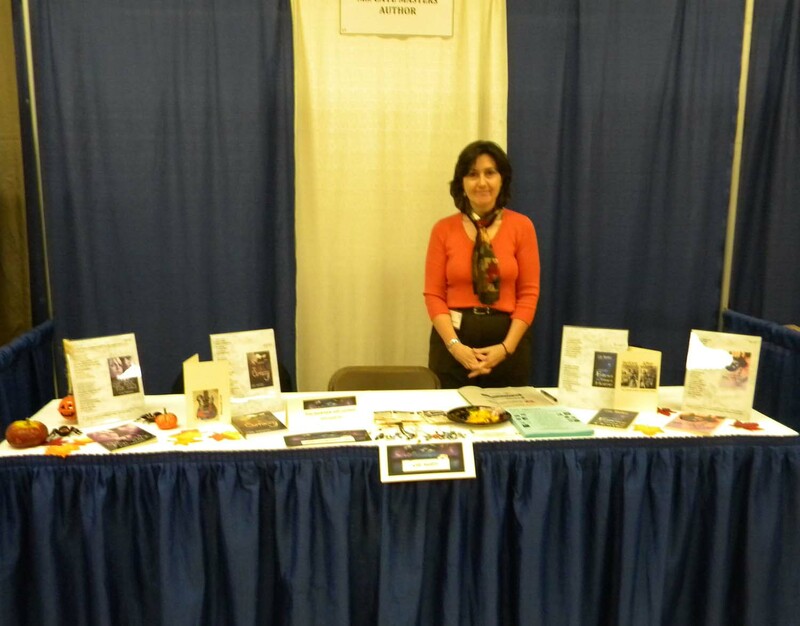 Me at my booth. Should have worn that mermaid costume, I guess. I'm dancing on air! 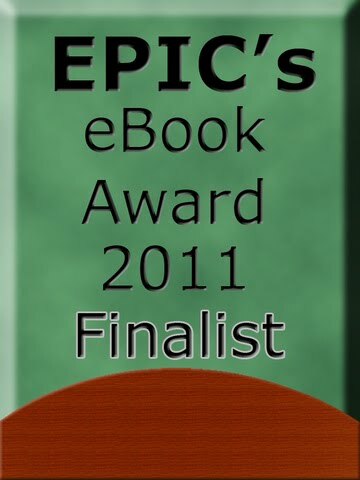 I received the email this morning from EPIC notifying me that I'm a finalist in the 2011 competition - for these four stories! I just made reservations for the conference in March. Can't miss that party! Madelyn can tell you what a bad idea it is - especially near Halloween, the night when the veil between the two worlds fades, allowing souls to travel freely between. In my paranormal novella, One Soul for Sale, she posts her soul online at the bidding site UBuy, and all hell breaks loose. Literally. This month, you have two opportunities to win One Soul for Sale. Join in the Night Owl Reviews Web Hunt all month for a chance to win one of three print copies. Next weekend, join the LASR Scavenger Hunt for a chance to win a PDF copy. Or you could buy your own copy now - One Soul for Sale is available digitally from Eternal Press or in print from Amazon. Just received the contract for French rights to ebook versions of the Shadow trilogy. Shadow's Son has been doing well on the Kindle here in the U.S.. For everyone who has asked, I'm still waiting for news about other e-format versions. I'll keep you posted. Resist the urge to follow people into the cafe, waving copies of your book. Instead, smile and say hello to anyone who goes by. Plan promos for the next book signing that will draw crowds that rival a John Grisham signing. Graciously thank the bookstore staff who made this signing possible, along with anyone who stops by the table, whether or not they buy a book. Jot down ideas for blogs, plot lines, setting and dialogues. Flesh them out if time permits. Create a shopping list so you're prepared when the signing is over. Try not to spend more than twice the cost of your book, particularly if you haven't sold any. Write said notes on memo-sized pieces of paper, and look up from time to time so you still look approachable. Relax! When is the last time you had an hour to yourself with no one bugging you? All joking aside, I'd like to extend my sincere thanks to all of my friends and family who inquired, attended, congratulated me or otherwise let me know they were thinking of me. I don't know a soul whose to-do list isn't daunting, and in this case, it truly is the thought that counts. 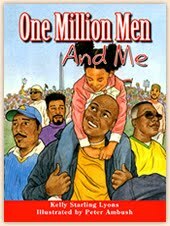 October 16 – 15th ANNIVERSARY OF THE MILLION MAN MARCH — 11 a.m. Storytime & Reading Hour at International Civil Rights Center & Museum in Greensboro, NC. October 18 – 6 p.m. Million Man March Anniversary Program at the August Wilson Center for African American Culture in Pittsburgh, PA.
To celebrate the Million Man March (October 16) and the National Day of Writing (October 20), the August Wilson Center for African American Culture, Reading is FUNdamental, and Just Us Books sponsored an essay contest for students in first through fifth grade. They were asked to write about a special moment with their father or father-figure. 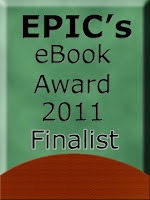 Winners will be announced at 6 pm, Monday October 16, 2010. Award-winning author Kelly Starling Lyons will present a program about her picture book and the Million Man March. Event is free and open to the public. For a great lineup of posts on interesting facts about the march, visit Kuumba, Kelly's blog. 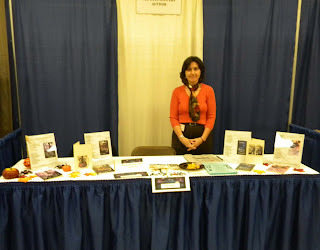 Get a sneak peek into her childhood and find out why she became a writer at Laurie Edwards blog. Great to have you in PA, Kelly! Hi All: Elaine and I were at the Mid Town Scholar last night and talked to Catherine (the owner). She is hosting a Mystery Writers' Day next Saturday, October 16th from 1 - 4 pm. Any published mystery writer is welcome. Mike will be there. There's still space if anyone wants to join just email Catherine. I didn't think to ask her, but I'm sure she'd be happy so help sponsor Tina's great idea for a teen writers contest. I can ask Debbie Beamer at the Mechanicsburg Mystery Book Store also. Even if you don't sign, stop by and say hello to Catherine . We need to show support. Several months ago, a good friend and colleague chided me - gently, but with good reason - about letting my published books wither on the vine. Published in 1999 (Acting Assertively) and 2004 (Diverse Divorce) in the educational market, these books continue to pay small royalties and are sold primarily through the publisher's catalog. I did the press releases and post cards when they first came out, but for quite some time now, I've been content to sit back and let them sell - or not. Fortunately, the wake-up call from my friend arose from opportune circumstances, not something catastrophic, like the threat of my book going out of print. My friend, who works at Borders, made it her personal quest to get my books into our local store. Thanks to her nudge and persistence, along with the efforts of Cindy, the manager of my local Borders, my books are now in the store. And on Sunday, as part of their twice yearly event for educators, I'll be doing a book signing at 1:00. If you live in the York area, stop by and say hi. If you'd like to buy a book, I'll be happy to sell you one, but I'll also be happy if you simply stop by to chat. And if Ann is working, I might even ask her to take a bow. It's always exciting when a fellow author has a new book out. 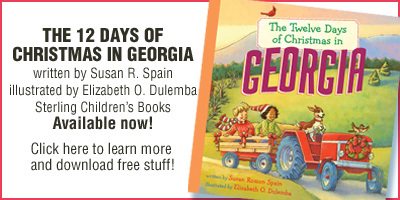 This week we're celebrating Elizabeth Dulemba's latest book, The Twelve Days of Christmas in Georgia. It may seem a bit early to celebrate the season, but there are only about 79 shopping days left, so here's a great gift for all the kiddies on your list. You might also want to check out Elizabeth's other books. And her site has lots of kid-friendly activities. 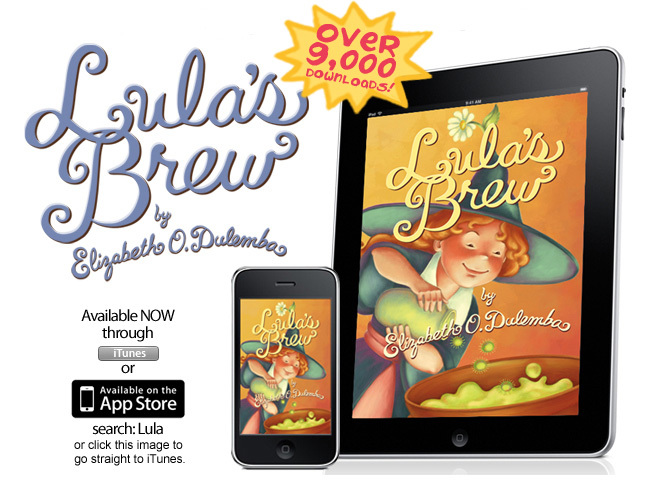 Also, her book, Lulu's Brew, available as an app, has had more than 9,000 downloads! Very cool!! After all Halloween's just around the corner. * Oct. 2 - Borders at Lycoming Mall. 2-4 pm. * Oct. 17 - Barnes&Noble at State College, 12-3 pm., with uber-talented author Susan Kelley. And a radio appearance! I'll be on The Hour of the Wolf out of NY on Oct. 16, 5-7 am.